Today was probably our most action packed day of our holiday so please bear with us as we try to give you the highlights! 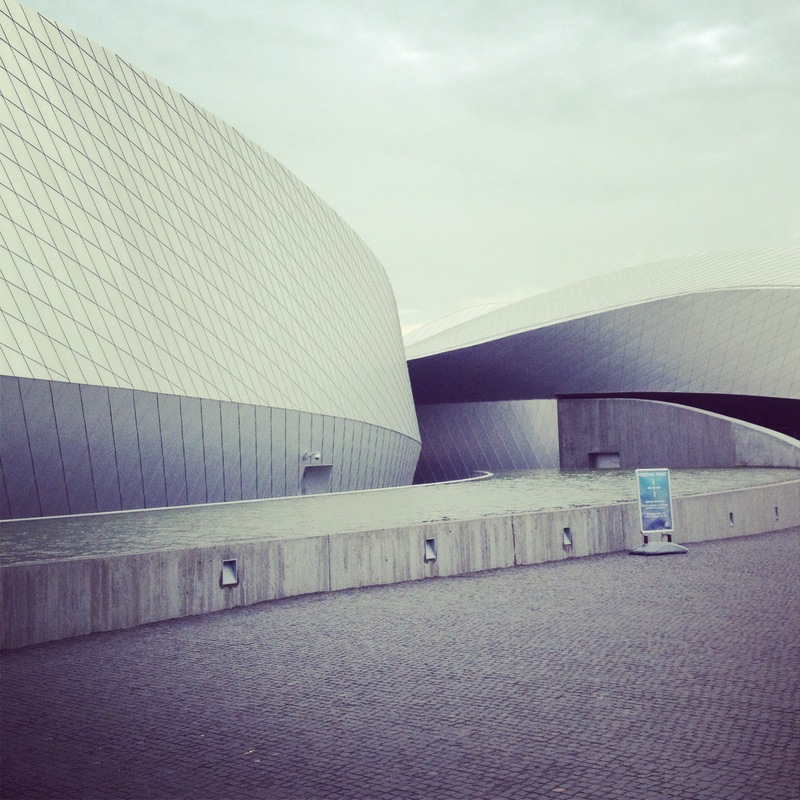 We awoke early, as good tourists do, to beat the rush for Den Blå Planet, Northern Europe’s largest Aquarium. The building itself has been built in typical Danish style – arty without being tacky. After a brief misunderstanding about the queue we were meant to be in we were off to explore such sights as hammerhead sharks, piranhas and playful, if not a little attention seeking, sea lions. There were several highlights but my personal favourite was walking through the ocean tunnel, where sharks and other fish swam around you. After a quick refuel in the cafe, taking the time to note the irony in that they were serving fish and chips on the menu, we were off to have a bite to eat and explore Christiania. After having a little stroll from the Metro, we made our way up the hill to Bastionen Og Løven. Here we were greeted by your typical Danish waiter, an enthusiastic soul with impeccable English who was, shall we say, ‘well versed’ in the local area. After he showed us to a table in the glorious sunshine, he brought us some freshly baked bread. It was clear to see that visiting this recommended place was going to pay off. After agonising over the menu (seriously this was tough! ), I opted for the rare beef and grated horseradish, whilst Sarah went for the prawns. Words cannot describe how amazing this food was! Whilst we were eating we noticed how quiet and serene the surrounding area was and we enjoyed the view of the church spire that was visible through the trees. 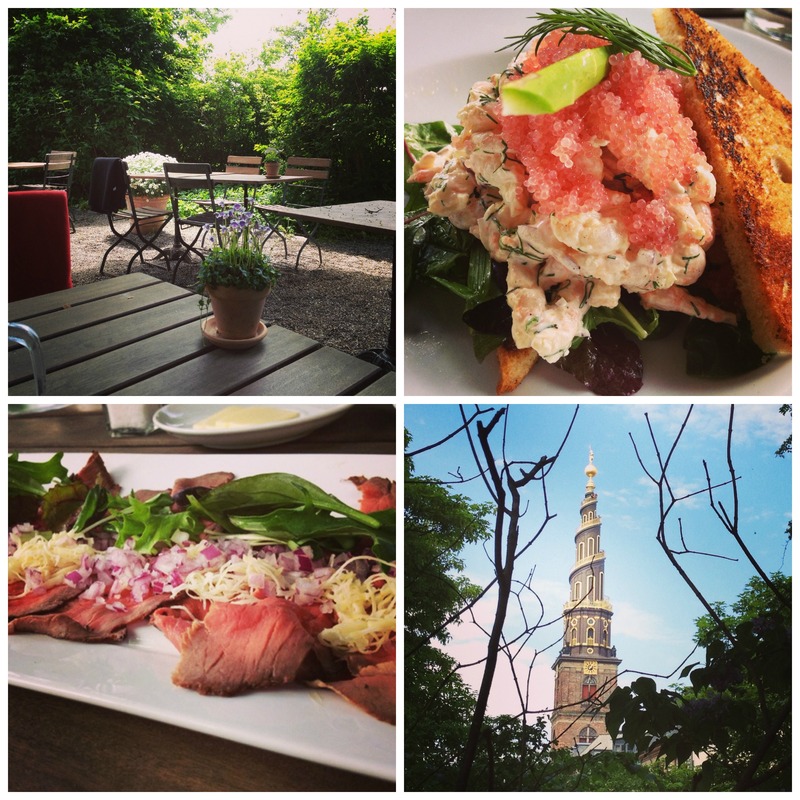 Once we finished our meal, we headed into the micronation of Christiania. Micronation I hear you ask? 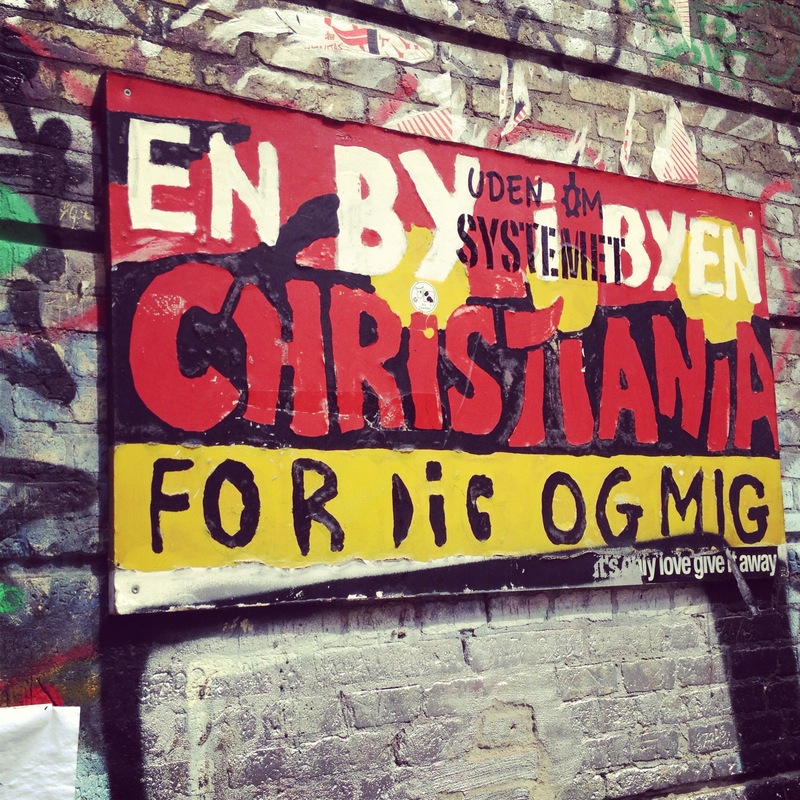 Yes Christiania is in fact a freetown, separated from Copenhagen, and as such has developed its own special rules and is regulated by its own individual law. There is plenty of info about Christiania on the internet, and yes the infamy of the aptly named Pusher Street is completely accurate, but tourists should not discount the lovely community feel and relaxed atmosphere the area has, especially around the lake, and enjoy exploring the bespoke businesses, such as carpenters, blacksmiths and bike shops. Unfortunately no photos are allowed in the freetown, so we couldn’t show you much of it! Christiania is truly unique and as such a must visit place which acts as a fantastic beacon for the liberal and progressive outlook of the Danish population. On our wander back to the metro, we accidentally came across the ‘Church of our Saviour’ with its beautiful twisted tower. Having viewed it whilst we were eating our lunch, we decided to take a closer look and brave the 400 steps to the top. After making our way up the awkward wooden step ladders, we found ourselves facing the final climb out in the open. I have never suffered from vertigo, but I have to say this gave me cause for care! 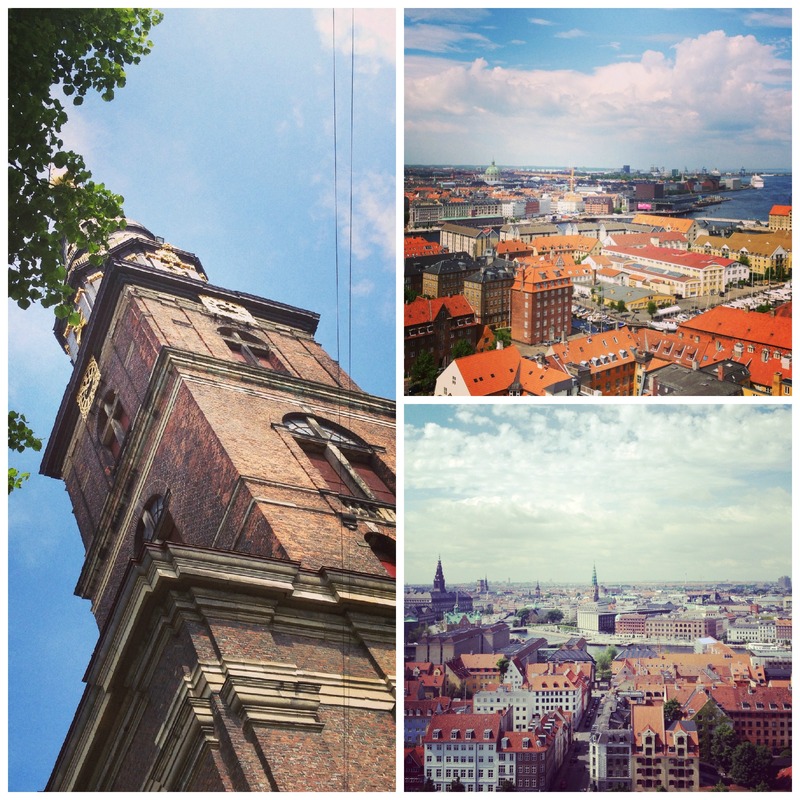 However, our bravery was rewarded and we enjoyed a fantastic view of Christiania and Copenhagen in the distance. Having decided that the weather was as good as it was going to be, we changed our plans for the afternoon and headed directly to Nyhavn. Here we behaved like typical tourists and, similar to Malmo, we took a boat trip around Copenhagen’s canals. Our captain was full of local facts, amusing anecdotes and lesser known information that you wouldn’t find in any guide book. It was a shame that the weather didn’t hold out and we were soon in our macs to keep dry! After heading back for a quick shower and change into some dry clothes, we went out for dinner and cocktails. For dinner we chose Halifax – a “not so typical” burger joint. Here we were faced with the huge challenge of creating our own burger. A complete range of choice was given that has to be experienced before you can believe it! Every ingredient is either handmade or made entirely from scratch. The atmosphere was buzzing and the waitress, surprise surprise, was exceptionally friendly and helpful. After consuming what was in essence, half a cow, we decided it was time to do what we do best: cocktails. Ruby’s Bar is a world award winning cocktail bar that focuses on the ‘classics’, and boy do they do them well! The bar itself is situated right next to an embassy and it positively reeks with class. Its decor is classic, with leather armchairs included, and it really has an old empire feel to it. After striking up a conversation with the bartender we received two exceptional drinks, a Snowdrop and a Rapscallion (guess which drink belonged to whom!). 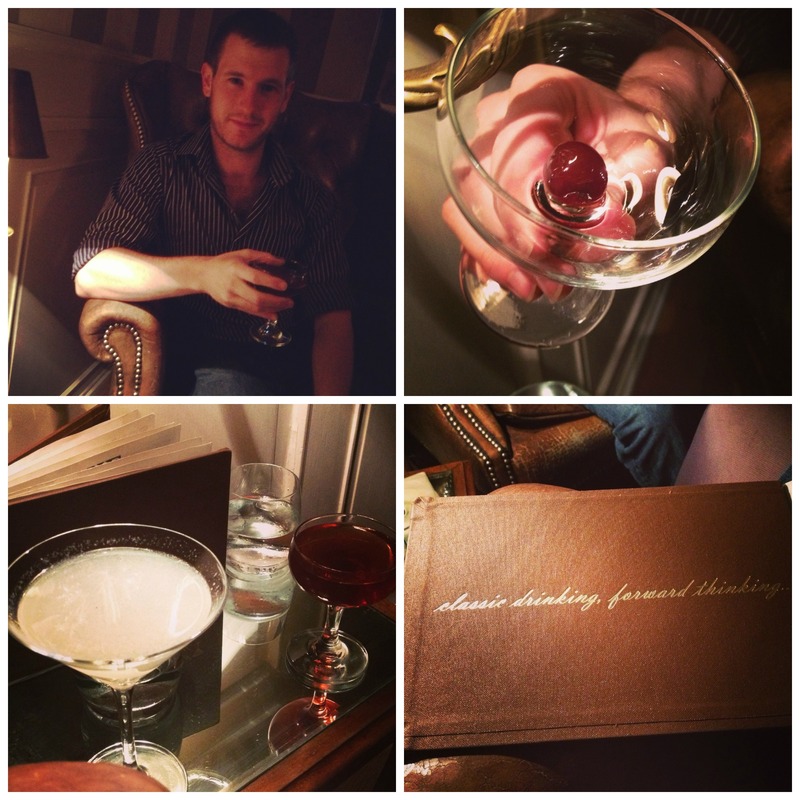 Both drinks were enjoyed whilst soaking up the distinguished atmosphere. Round two. Sarah went for the Jasmine Sour whilst I decided that I wanted something off menu. I asked the barman what he would recommend for a whisky lover. He thought for only a second or two and took the silver mixer from the cupboard on the wall. He looked at it with a long and intense stare, mixed in quick succession the key ingredients and so created his version of the “Harvard Dropout”. Again both drinks were top notch. The action packed day, food and booze got the better of us and we decided it was time to head back to get some rest as Copenhagen Day 5 (and our final day, sob) awaited us!